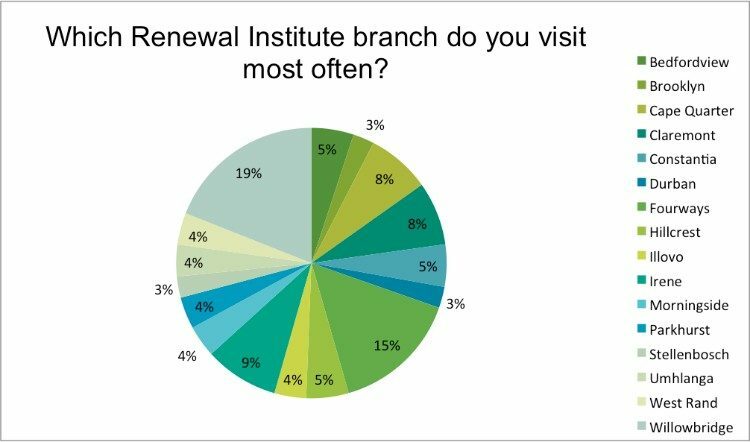 Renewal Institute Loyalty Survey Results Feb2018 When should you Start Injectable treatments?From our 79 respondents, 77 were female and only 2 male. Remember, men age just like women and the same interventions to treat the female skin are available and are just as effective for men. There is no reason not to prevent signs of ageing, no matter what your gender! 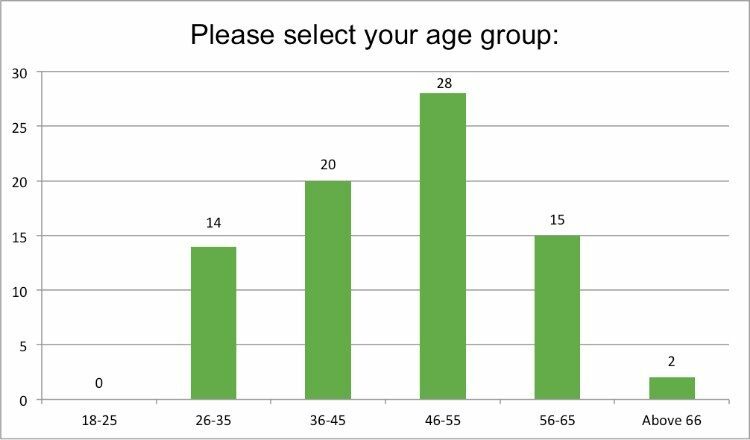 The majority of respondents were aged 46-55, followed by the younger group of 36-45’s. 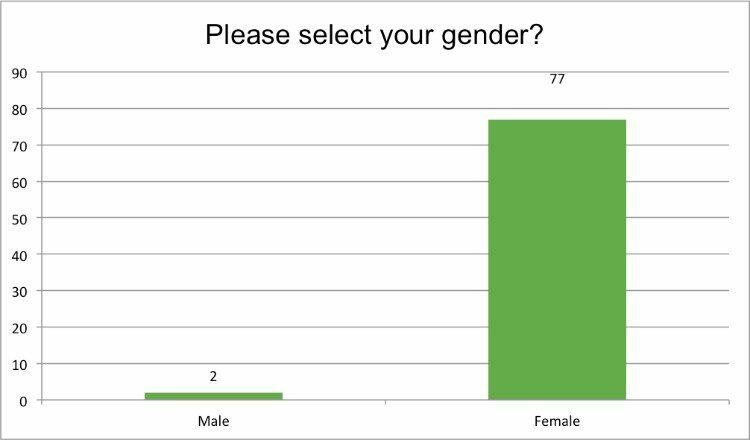 No patient under 25 completed the survey. 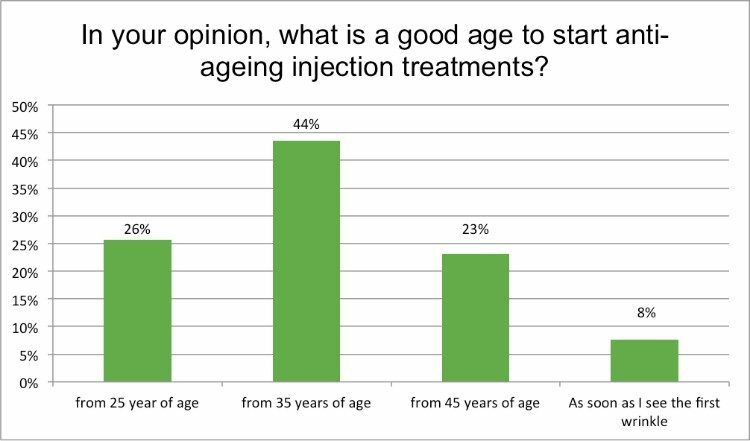 44% or respondents believe from 35years of age is a good time to start anti-wrinkle injections, and this is in fact true. 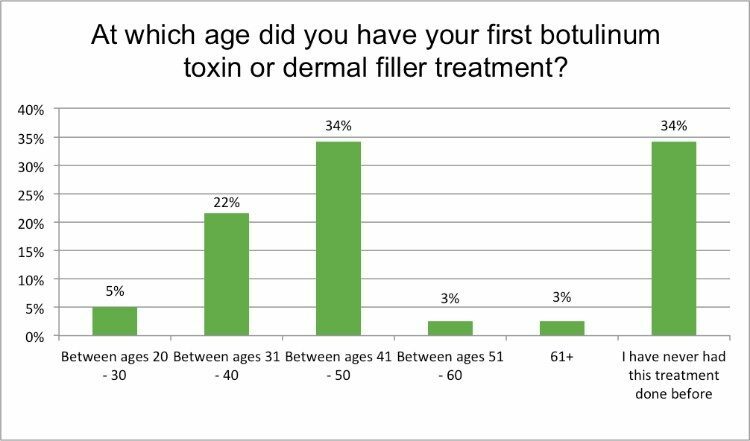 One can even start as young as 25 to prevent any permanent frown lines from forming, allowing the skin to remain smooth and wrinkle free for many years! Many of our patients come in for consultations and say “I don’t want to look like my mother”, implying they want to prevent severe and deep-seated wrinkling. The focus is on having preventative treatments, rather than correcting a problem once it is there. This approach is much more cost effective and has long-standing results in the future. 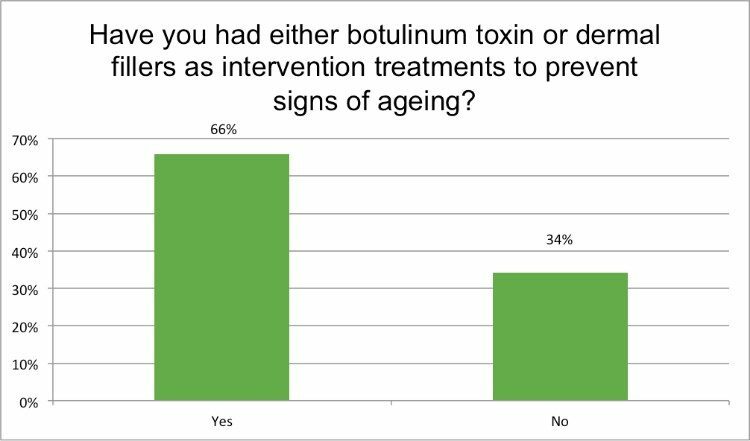 66% of respondents have had either Botulinum Toxin or dermal filler treatments as anti-ageing interventions. 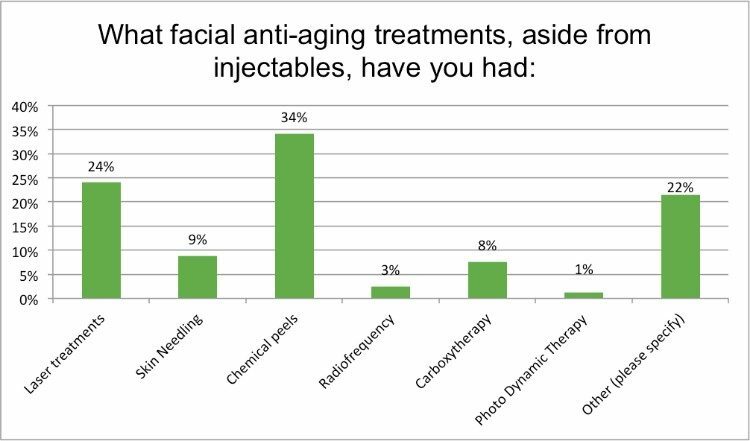 34% of respondents had their first injectable anti-ageing treatment between 41 – 50; 22% between 31 – 40; and only 5% between 25 – 30 years of age. 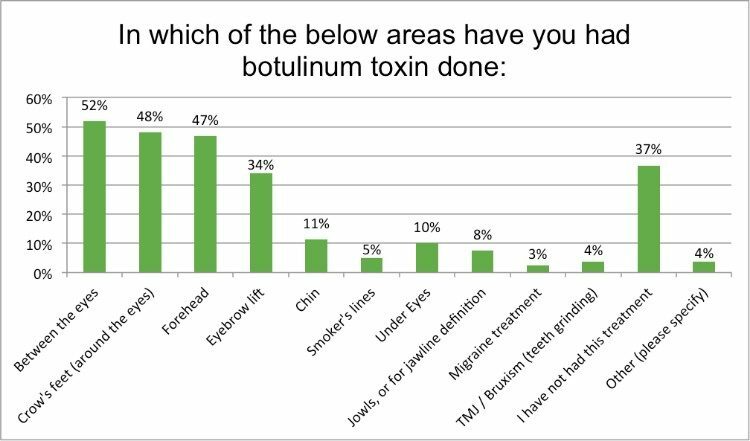 In general botulinum toxin is used mostly in the top half of the face, treating the forehead, and eye area. It works on dynamic (moving) wrinkles that get animated with facial expressions. 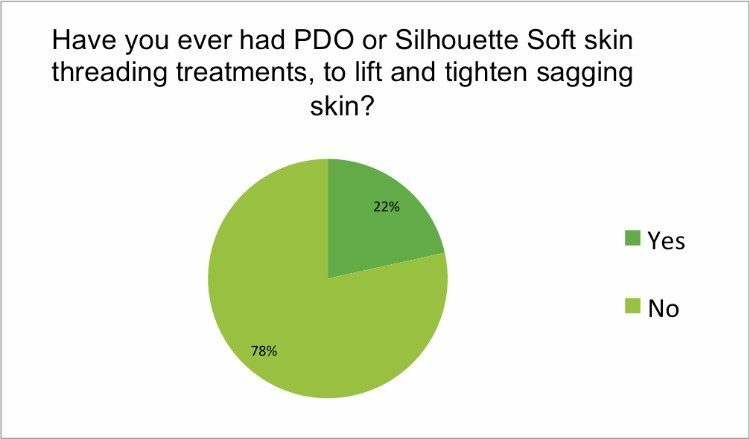 To create lift and stimulate collagen production in the skin Silhouette Soft ® and PDO threads are strategically placed into the deeper layers of the skin. This creates a frame to lift sagging skin and give a non-surgical facelift with immediate effect and minimal downtime. Thread treatments are done after the skin has been treated with collagen stimulating treatments, and as a final step in facial enhancement. 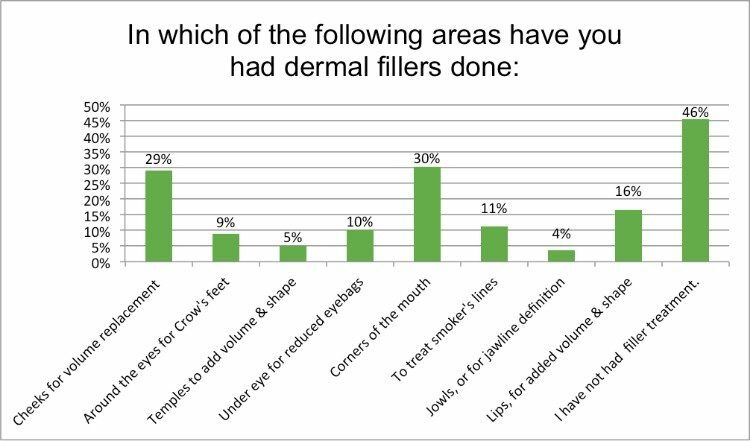 22% of respondents have had this treatment done. 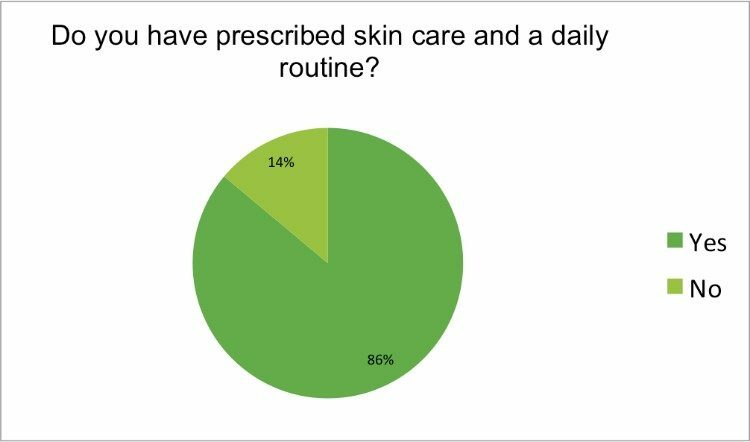 86% of respondents have a prescribed skin care routine, which is wonderful! Proper home care and daily skin products go a long way in maintaining skin health and preventing ageing. Unfortunately, just using good skin care products is not enough. 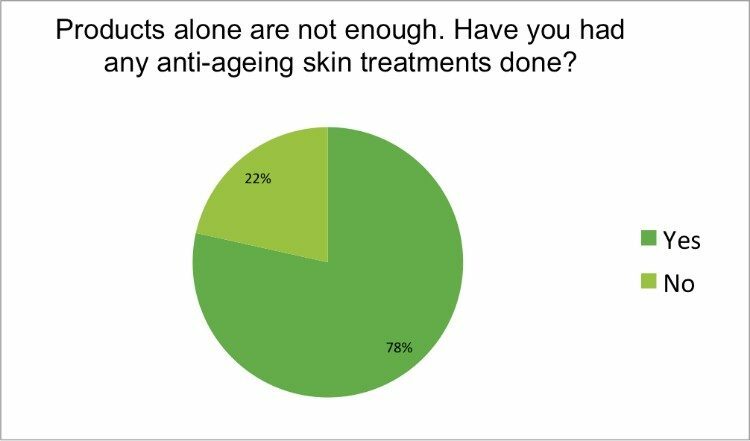 To read more about these various types of treatments follow the links above and ask your skin care therapist about them. 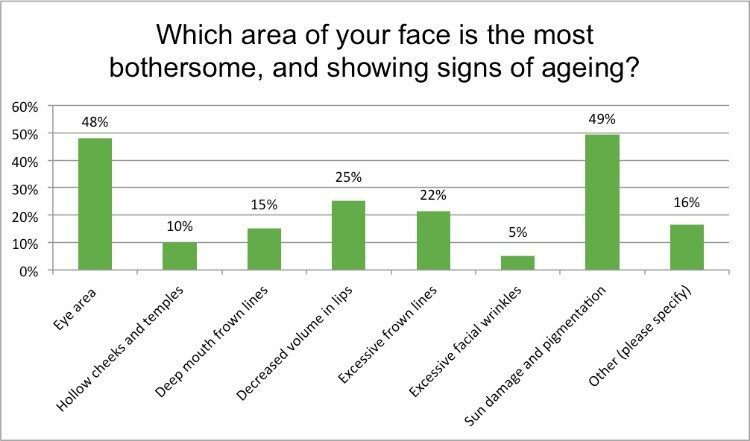 Respondents identified which are of the face is most bothersome, can you relate? ·15% deep mouth frown lines. 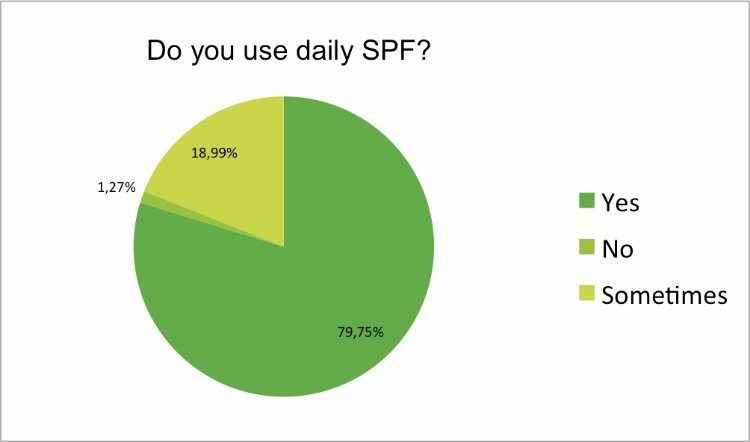 The number one product to protect your skin and prevent ageing is using a broad spectrum SPF, daily! Come rain or shine it is vital to prevent sun damage and UV ageing. Shop your favourite brand via our online store and give your skin the protection is needs!